New! 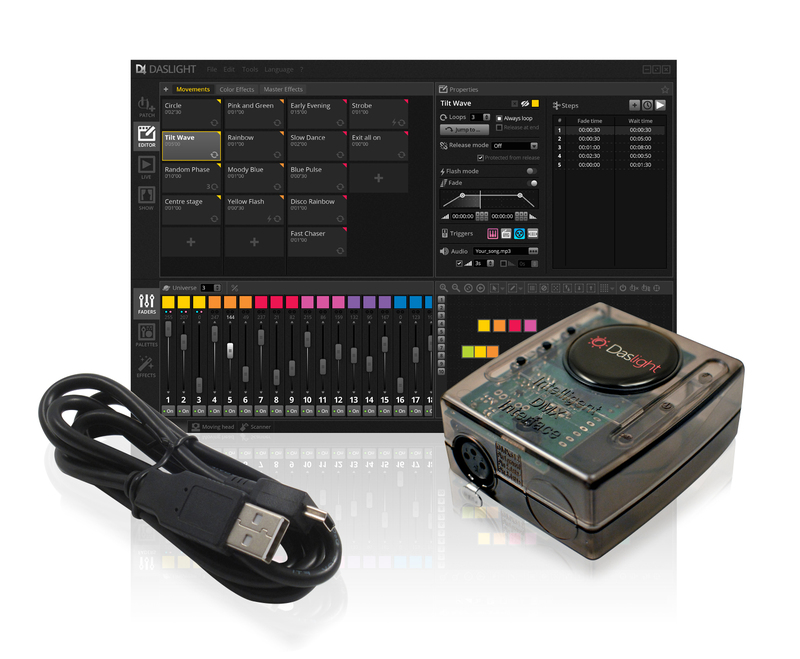 Mini USB-DMX interface. 1 DMX OUT universe (128 channels). 128k stand alone memory. Works with DVC4 software in express mode. Delivered with a USB cable. Compatible with Windows 7/8/10 32/64-bit and macOS 10.10 or higher.